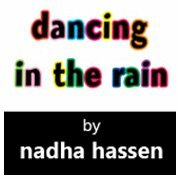 When the time came to publish my children’s book “Dancing in the Rain”, there was a genuine desire to have the book give back to community organizations that provide services to children, youth and families. I had promised that $1 CAD of every book sold would be donated towards child and youth programs through a registered charity. I am now very happy to announce that I recently made a $150 donation to Africa’s Children-Africa’s Future (AC-AF) ! Currently, that is approximately 224,215 Tanzanian shillings. I do think that every little bit counts if used properly and sustainably. AC-AF is the only known organization to provide micro-credits loans to those under 18 years of age (child-headed households) through a comprehensive, sustainable program. I interned there for a year so I knew first-hand where donations were going and how money was being spent. The organization does work in both Canada and Tanzania though HIV and AIDS workshops, promoting cross-cultural dialogue which is becoming increasingly important in today’s world. Another achievement of 2013 is that the book was distributed to the children and youth who were one of the reasons for my formalizing these stories in a publishable format. I also want to thank Gilda’s Club Greater Toronto for adding the book to their Noogieland library collection. I’m pleased to say that I can now drop the price of the book to $9.99 for the limited number of copies I currently have in stock. Additionally, for every book sold in this time, $2 CAD will be donated to a community organization working with children and youth. Thank you so much to everyone who purchased a copy of the book and who helped with the distribution of it. If you don’t have a copy of the book, please consider buying it through my website. If you are in Toronto, it is possible to pick up the book in person as this will eliminate shipping costs. I’d also appreciate any and all help with promoting this offer – so please share with your family, friends and networks. The publisher is selling for around $23.50 so I’m thinking $9.99 is a pretty good deal! I’ll be fronting most of the cost during this promotion but I would like to ensure that if you’re interested in the book, you’re able to get a copy. One of the compliments I’ve received on the book was from my highly critical brother. He noted that in his opinion, the downfall of many children’s literary works is the oversimplification of major themes and that Dancing in the Rain does not fall prey to this. Health issues (such as cancer and physical disabilities), bereavement, diversity and family relationships/ dynamics are not easy issues to tackle in a children’s book by any measure. However, I hope that the book may create moments of learning and growing and may be as cathartic to read as it was for me to write during my late teen years. Previous Previous post: Will Toronto soon have Open Streets?